So I have this question about: "How to easily and safely punch hole into RFID card". I have this 125khz RFID card and I would like to punch a hole in it so I can have a thin string go through it, making my card to be able to hang from my neck. Though I have no experience in punching hole to any sort of card, not mentioning an RFID one. Is it possible to punch a hole through the RFID card and still have it work properly? 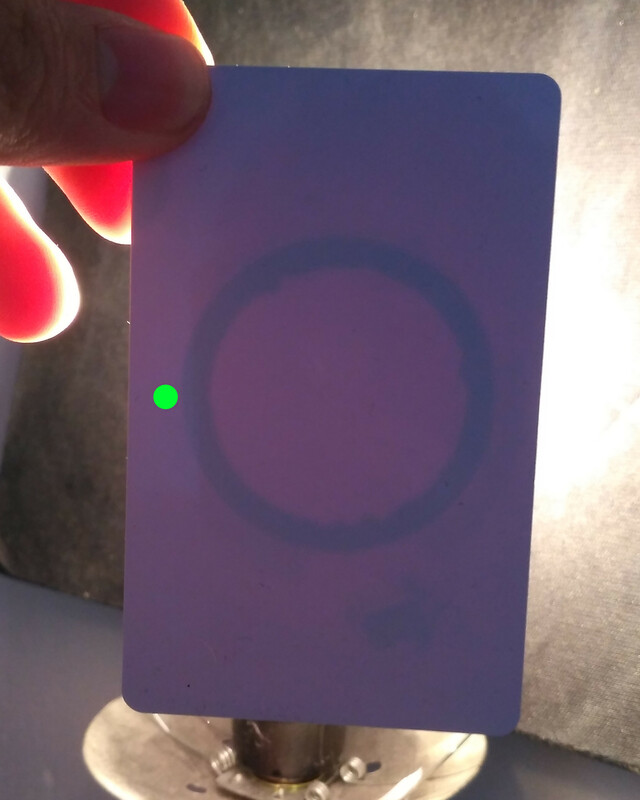 In the picture below, you can see my RFID card in front of a light source, showing the antenna. On the picture, I put a green circle to the place where I need the hole to be (though I can make the hole a little bit smaller as long as a double-string can pass through). Is that a safe distance? Is the whole too big? Is there a chance that it will break the card? The issue is, I don't know where to post this question. The most suitable forum would be RoboticsBeta but they did not have any tags that would be applicable for me (there was no rfid, rfid-card or even card tags). Can anyone help me to maybe create the appropriate tags at the RoboticsBeta or redirect me to an appropriate forum? Seems that there is an rfid tag on Electrical Engineering SE, so I'd suggest you check the questions asked there to see if yours could fit. Where should I ask an e-commerce question about address verification for credit card transactions? Where should I ask “X”? Where should I ask questions about hardware? Where should I ask questions about diving?